Leaving behind both Sebastian Vettel and the local guy Mark Webber, Kimi Raikkonen from Lotus has converted his two stop strategy at Melbourne to fetch him the second victory for his Formula one return. 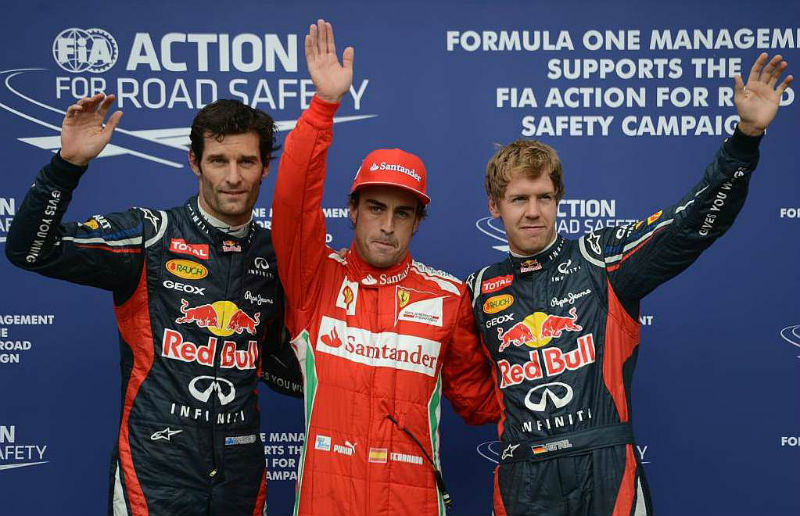 Webber and Vettel finished at number 6 and at number 3 respectively, while Alonso from Ferrari finished at number 2. At the beginning, Vettel claimed the 37th pole position of his career at the start of the event when light went out and the defending champ took the lead at the turn one. He tried to keep up the lead, but Ferrari’s Alonso and Massa were always on his tail. And then Alonso took Vettel when he took second pit stop. After that it was clear that Raikkonen will not be stopping for the third time, but Finn claimed his second win with his comeback in 2012 at Abu Dhabi- where he banked 15 champion points. Afterwards, Vettel said that it is always disappointing that you started first but didn’t finish it first. He further said that they were too aggressive at the track and lost both front and rear tires. He further said that there are always areas where one could improve; he also said that Kimi was too quick on the track and Fernando jumped over him at a vulnerable time. The race also proved to be tougher for Mark Webber. At the start, the Australian equaled his best ever qualifying result at second place but later at the end of the race was not able to keep up the pace and dropped to seventh position. Webber said that he had few issues on the grid. He further said that it looked like that they ran quite heavy with the first set of tires and were not quick enough to possess any challenge for the win. And due to the slow pit he got behind Jenson. Team principal, Christian Horner said that while it cannot be regarded as the perfect day they are all set to take on at Malaysia next week. He further said that starting from the front row, third and sixth wasn’t something that they have expected. He further said that Mark made a good comeback after a difficult start and ECU issue in the beginning. Team reset the system and his recovery was strong. He again said that he is leaving the race knowing that they have a car that has potential to win.